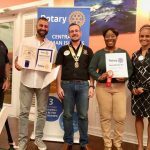 Regular Meeting of the Rotary Club of Central Cayman Islands. By invitation – please contact us. 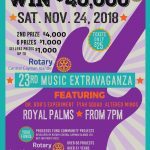 Come out for a night of Great Music and Help Rotary Central Help Your Community! Only $25 per ticket. Proceeds go to fund Rotary Central’s many community projects. You could win $40 K or other prizes. Look for Rotary Central members and their sellers at Local Supermarkets, AL Thompsons, Royal Palms Beach Club & Funky Tangs. The fun starts at 7 PM at Royal Palms Beach Club.